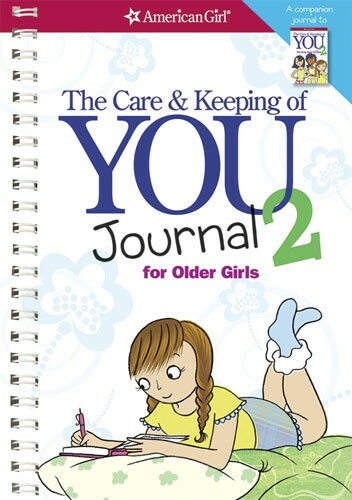 This new journal is especially made for girls 10 and older, and is the companion title to the body book, The Care and Keeping of You 2! Within this journal you'll have the perfect place to write down your thoughts about the changes happening to your body, mind, and emotions. So even on the days when you feel out of control, the quizzes, questions, checklists, and drawing assignments will help get you back on the path to feeling your best. For more resources on helping girls navigate the physical and emotional changes experienced while growing up, visit our Guides for Girls section. For our entire collection of girl-empowering journals, visit A Mighty Girl's Writing & Journaling section.